"How Inequality and Social Class Shape Selves and Relationships"
Hazel Markus is the Davis-Brack Professor in the Behavioral Sciences, Co-director of the center for Social Psychological Questions to Real-world Questions and Director of the Research Center for Comparative Studies in Race and Ethnicity at Stanford University. After earning her PhD from the University of Michigan, Dr. Markus worked there until 1994 as a ladder faculty member in the Department of Psychology and as a research scientist at the Institute for Social Research. From 1992-94, she was Directeur de Recherche at Maison des Sciences de l’Homme in Paris, France, and in 1994 she moved to the Psychology Department at Stanford University. Dr. Markus’s research focuses on the role of self in regulating behavior and on the ways in which the social world shapes the self. Her work examines how cultures, including those of nation or region of origin, gender, social class, race, ethnicity, religion, and occupation, shape thought, feeling, and action. She is the author of several books, including Clash! How to Thrive in a Multicultural World (2013/2014) and Facing Social Class: How Societal Rank Influences Interaction (2012). 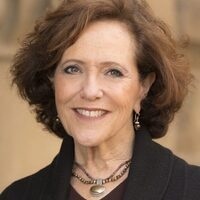 Her honors and awards include the American Psychological Association’s award for Distinguished Scientific Contribution, the Donald T. Campbell award from SPSP for contributions to social psychology, and the APS William James Award for lifetime achievement for basic research. Dr. Markus is a fellow of the American Academy of Arts and Sciences, former President of the Society for Personality and Social Psychology and is a member of National Academy of Sciences.